Version 4.1.0 of Font Awesome has been released recently and it’s time for a refresher on how we can use icon fonts in WordPress. 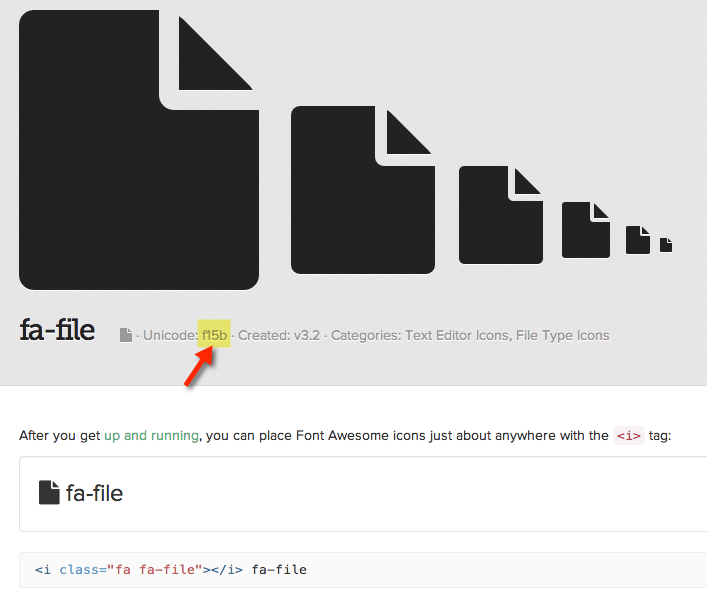 Below are a few examples of using Font Awesome icons in various places. List of icons can be seen at http://fontawesome.io/icons/. Unicode values can be obtained by on the icon detail page. Also see Font Awesome icons with a circular background. I want to install the font awesome icons on my primary menu in the Eleven40 theme, into which file do I put this and the rest of the info? You lost me on this one. Does it go in the menu.php file or the function.php? All your posts always have the fonts being enqueued which just adds to page load. How would one load fonts using font-face? It is possible to use an if conditional to load the fonts only on select pages (views) in your WordPress site. Is there a way to add an icon to the site title ? for some reason I can’t get this to work on a website i’m using locally with dynamik gen.
Icons just come up as X’s with boxes around them. Not sure. I’ll double check link for cdn. I’m an idiot. It was a misspelling with the css selector. Sorry. Works great. THanks. We are using the Hueman theme within WordPress and I am unable to get the Stumbleupon and Trover icons to appear in the FOLLOW, the others work fine. Was wondering what your thoughts are on advantages/disadvantages to pasting CDN link in header vs. loading in function? And what about loading stylesheet so that it doesn’t reflect specific version, but will load most recent ? Thanks for your detailed info about FA icons. Will you help me to setup custom wordpress blogroll with fontawesome icons? Can you (or anyone else) tell me how I can prevent the icon from showing up in nav drop-downs but continue to display in the main menu item on nav bar? Just a note: it’s recommended to load resources inside the theme, not from CDN. It is possible. Do you want that arrow to act as the search form submit button?